What are the best autoflowering cannabis seeds of 2016? Find out about the seeds that stand out and the reasons why we recommend them. At Royal Queen Seeds, we are proud of every strain we create. A lot of love goes into each one. Yet, we often get asked what we recommend. All our seeds are worth trying out, but these are the ones you don’t want to miss in 2016. Since personal likes and tastes often differ when it comes to cannabis, the list is in no particular order. To help you find your own favourite seeds, we have placed them accordingly in categories for indicas, sativas, great yielding, and fast flowering. So check out our list of the best autoflowering cannabis seeds of 2016 below! Northern Light was bred in the 70s and found its way to Europe in the 80s. Due to its fantastic qualities, it didn’t take long and Northern Light became one of the most popular and well-known cannabis strains around. Northern Light is a favourite for many, due to her sweet taste and pleasant high. Growers love the strain for her short flowering time, robustness, manageable size, and enormous yields. The autoflowering variety of Northern Light makes it even easier for growers to enjoy what Northern Light has to offer. The taste and high remain the same as the original, with a yield that is unmatched among autoflowering strains. 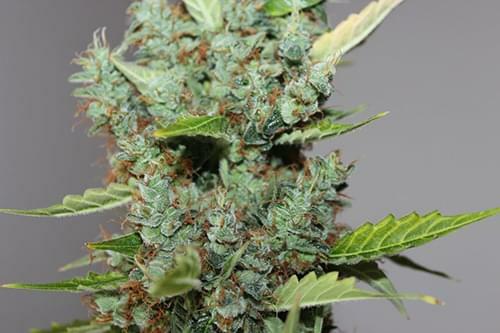 Northern Light Automatic is an all-around fabulous strain that surely deserves a spot as one of the best indica varieties of autoflowering cannabis seeds available. Royal Bluematic’s brings us the awesome berry flavour and aroma of the popular Blueberry strain, but in an autoflowering variety that everyone can grow. She perfectly combines the genetics from the Blue Family with those of classics from Thailand and Afghanistan. She is an easy-to-grow plant that reaches medium heights - making her suitable for any growing environment. From seed to harvest, she only needs 8 to 9 weeks. Connoisseurs love her delightfully sweet smell and her signature blueberry taste. Royal Bluematic’s high is equally pleasant - very smooth with a relaxing stone. With such grand qualities, Royal Bluematic is without a doubt a very satisfying and well-rounded autoflowering strain. 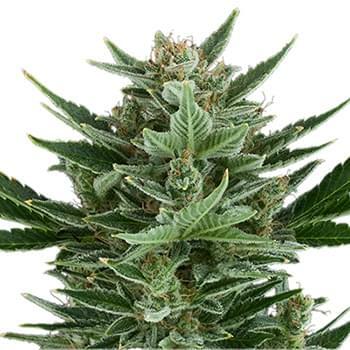 As the name suggests, Amnesia Haze Automatic is the autoflowering version of Amnesia Haze - a classic sativa strain. She produces the same deliciously sweet and spicy taste as the original, and induces the same sought after skyrocketing high. However, unlike the original, Amnesia Haze Automatic doesn’t require 12-20 weeks to flower – going from seed to harvest in roughly 10 weeks! Likewise, the staggering height Sativas sometimes reach can also be an issue for some. Amnesia Haze Automatic has overcome all those problems thanks to her autoflowering genetics, remaining manageably compact. She is a great strain that gives you all of what made Amnesia Haze so popular, but as an effortless and easy-growing autoflowering variety. All over the world, the Haze varieties of cannabis have many fans who love them for their taste, flavour, and uplifting high. Growing them, on the other hand, can sometimes be challenging due to their very long flowering period and large size. Royal Haze Automatic overcomes these issues, offering fast growing times, small size, and the same fresh flavour and uplifting high that has become the hallmark of a good Haze strain. She is a cross between the famed Amnesia Haze and Skunk, further paired with ruderalis to create one of the ultimate auto strains. Going from seed to harvest in 10-12 weeks, Royal Haze Automatic is a highly resilient and easy to grow strain, making her ideal for novice growers. 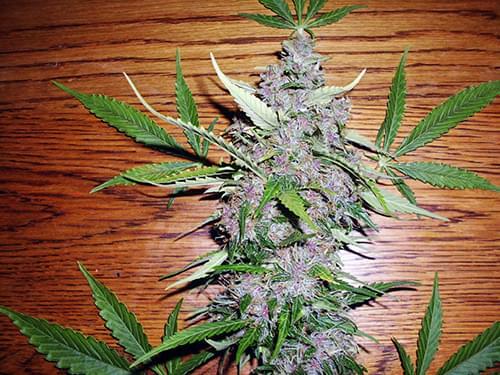 Critical is an extremely popular strain that has already won countless awards. She is a true powerhouse, famous for her vigorous growth, great flavour, and fantastic yields. Royal Critical Automatic managed to keep all those qualities while making the strain even easier and faster to grow. Success is not always guaranteed when famous strains are crossed into autos, yet Royal Critical Auto turned out to be another winning strain, and for that reason deserves a place on our list. Royal Critical Auto screams enormous yield with the ability to produce up to 165g per plant under ideal conditions. Combine this with her ability to produce a harvest after 8-9 weeks of germination, and you can see why she is such a winner. AK-47 is a true classic strain that most connoisseurs and growers will likely have heard of already. She combines the best genetic of Colombian, Afghani, Mexican and Thai heritage into a Sativa that has attained legendary status due to its powerful high and exceptional yields. Royal AK Automatic builds upon this world-class heritage, offering the same power but in an easy to manage auto package. She grows up to around 100cm in height, going from seed to harvest in roughly 10 weeks, and producing very generous yields of up to 160g/plant. It all comes together into a very special beauty that can be grown multiple times before the frosts set in! Royal Creamatic is one of the fastest strains here at Royal Queen Seeds, offering fast turnarounds of some connoisseur quality bud. What makes Royal Creamatic stand out is her unique sweet flavour that combines honey and caramel into a mouth-watering aroma. When used, Royal Creamatic induces a smooth and relaxing body stone, helping ease the day away. However, what really draws people to her is her lightning quick times, going from seed to harvest in as little as 7-8 weeks! It is a pretty impressive time that can ensure a personal stash never runs out when grown all-year around! Quick One was one of the first ever autoflowering strains to feature in our catalogue, and still stands with the best of them thanks to her fast growth and relaxing effects. Those growing in small spaces, or who need a stealthy profile will find her appealing, thanks to her manageable height of 50-60cm. Despite her unassuming size, she can still yield up to 150g per plant and in some cases even more. She goes from seed to harvest in a short 8-9 weeks, so there is hardly any wait at all until you can harvest plenty of resin-covered bud packed full of refreshing, herbal aromas. If you want great bud, and want it fast, Quick One is an ideal choice. These are just some of the great strains we have on offer here at Royal Queen Seeds; there are still plenty more – all worth your time. 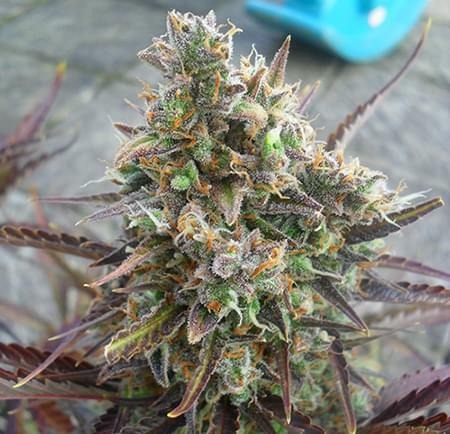 2016 is shaping up to be a great year, so don’t miss the opportunity to try out some of the fantastic cannabis strains – there is something for everyone!